This free pattern was issued on my second blog anniversary as a special gift for all my blog readers! The Ruby Slip has a lace bodice and bias cut skirt, and is easier to sew than it looks. Remember to download the instructions, where you’ll find the sizing, yields, cutting and sewing instructions. 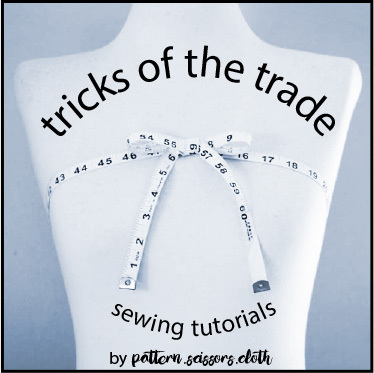 I recommend reading the sew along below for step-by-step instructions and additional information, tips and techniques. If you are publishing your finished objects online or elsewhere, please credit Pattern Scissors Cloth for this free pattern with a link. And don’t forget to #rubyslip your photos!